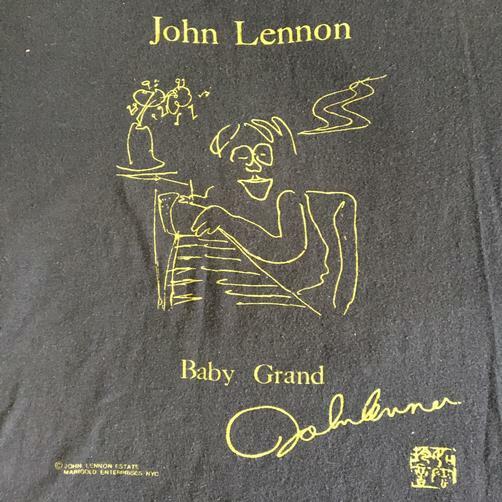 RARE ORIGINAL 1970s JOHN LENNON BABY GRAND T-shirt. Color: BLACK. 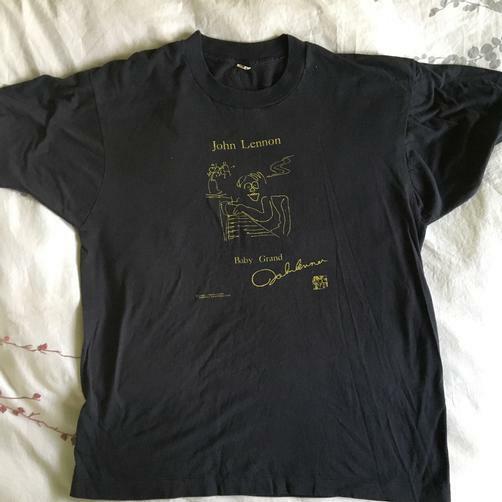 Size: XL. Printed by Screen Stars. 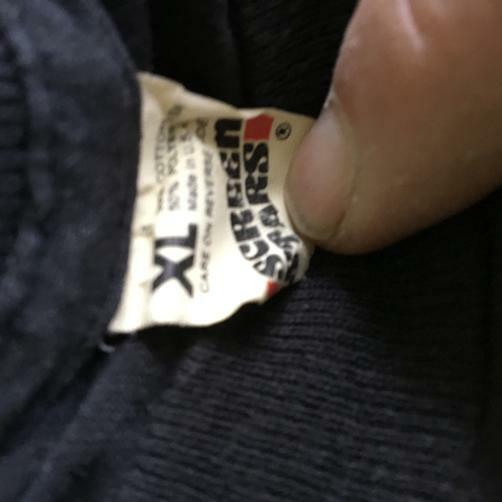 Shirt has light wear from age, but no tears, rips, stains or holes.